What is the SERVE Project? The SERVE Project is a grant-funded, research-based project seeking to Support, Encourage, Respect, Value, and Empower women and girls. In too many ways, women and girls are vulnerable to trauma and abuse, exploitation, single parenting challenges, educational and financial needs, and a variety of other issues. At the same time, women and girls are resilient, strong, and committed to human flourishing. 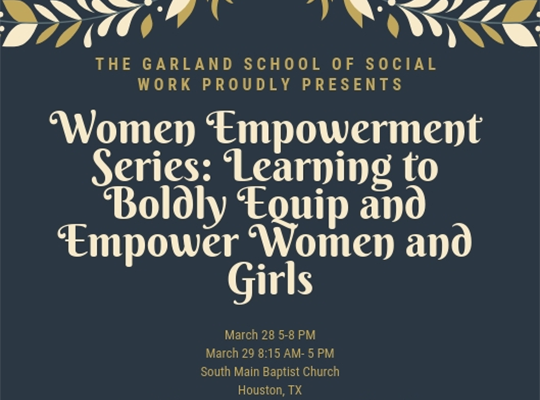 This project engages advanced MSW students in serving women and girls and working for social and economic justice on their behalf. The project includes an internship serving women and girls, focusing their learning on the needs and opportunities for empowering this population, specifically through MSW Concentration and Colloquium opportunities that highlight their learning. Either through agency-based research related to their field agency or a research project alongside a faculty member, students on this project will design and conduct research that identifies systemic issues faced by women and girls, explores best practices promoting social change, or assesses the evidence for an intervention empowering women and girls.